James Comey, the 6-foot-8-inch Sasquatch masquerading as the director of the FBI, is on Capitol Hill all day testifying at the Senate Judiciary Committee’s oversight hearing of the Justice Department. 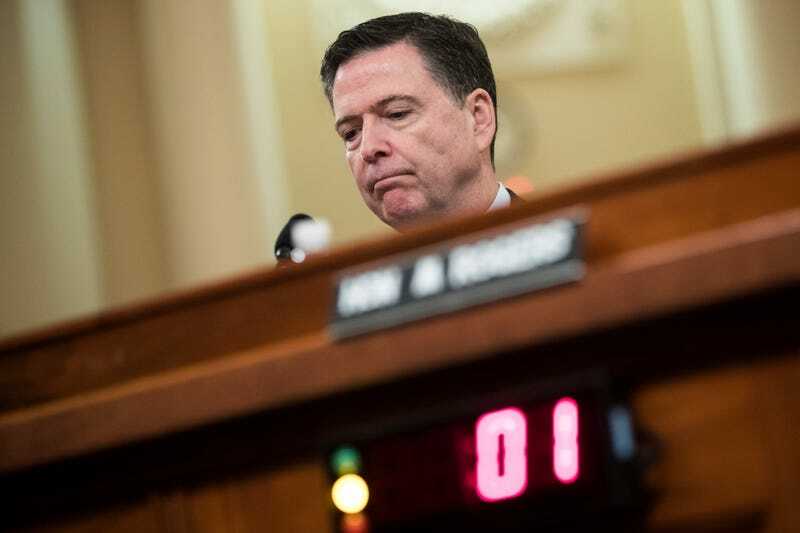 While this is usually a routine, annual hearing, on Wednesday, Comey spent much of his time defending himself against Hillary Clinton’s statements Tuesday that she lost because of his interference. “I was on the way to winning until the combination of Jim Comey’s letter on Oct. 28 and Russian WikiLeaks raised doubts in the minds of people who were inclined to vote for me but got scared off—and the evidence for that intervening event is, I think, compelling [and] persuasive,” Clinton said at a Women for Women International event in New York on Tuesday. Sen. Dianne Feinstein (D-Calif.) pressed the Lurch look-alike on how he thought he would affect the outcome of the election when he released a public letter announcing that he was reopening the Clinton email investigation less than two weeks before the election. Comey defended himself against accusations that he swayed the election, with his own concoction of white tears and “white-eous” indignation. Despite the overwhelming evidence, Comey refused to admit that his decision had anything to do with Orange Julius Caesar’s ascension to the White House—but he also would not disclose that he was voted “Person Most Likely to Be Bigfoot” in high school. As he exited the hearing, Comey grunted, bit the head off a live chicken and disappeared into the tree line. As always, we end with the picture of now-former Attorney General Loretta Lynch and now-former U.S. Attorney Preet Bharara staring at Comey because they secretly knew that he was a Yeti. We get the bubble guts, too.